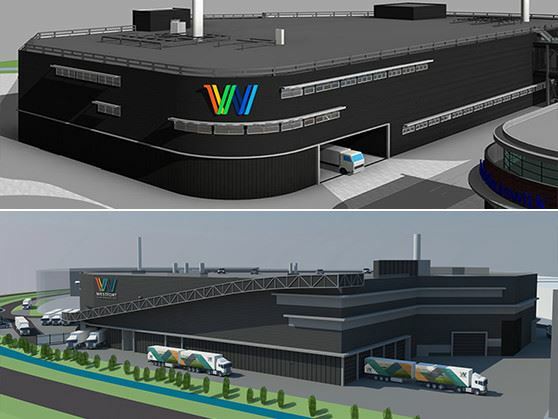 Westfort builds ultra-modern pig slaughterhouse with Metaflex refrigerator and freezer doors. Westfort is a specialized pork company that manages the entire processing chain. From purchase, slaughtering, meat processing and meat products production to the worldwide delivery to various purchasers of quality meat. The growth of export to countries such as China and expanded opening hours in the supermarket branch has caused the slaughter and processing of pork meat to become a 24-hour industry. Consequently, chain management, in the framework of quality, food-safety and production reliability, has become increasingly important. The more efficient the production line is, the better for the animals and the ultimate meat product. In order to meet these needs, the slaughter, processing and freezer capacity is concentrated in one location in IJsselstein. It will be a slaughterhouse with a capacity of up to 700 pigs per hour. Metaflex delivers all refrigerator and freezer doors for this ultra-modern slaughterhouse.